I’m looking forward to supporting you. If you’ve made it to this page, then it feels like we’re a good fit to move forward in launching your brilliance into the world. Together, through a mix of strategy, logic, intuition and clear actions, we’re going to make your vision tangible. Select the way that you would like to be supported from the menu below, and don’t hesitate to reach out if you have any questions. Before working with Titilayo, I was having a hard time figuring out my niche. Over the course of working together, I have narrowed my niche; determined the cost value of my services; and learned about designing a marketing strategy. My perspective has definitely shifted from hesitant entrepreneur to confident consultant, and I have several new prospects. I did not have a roadmap and now I do. Titilayo has been exactly what you need a coach to be...knowledgeable, encouraging, energetic, resourceful and flexible. I am so appreciative and better off for having taken part in the process. Through our work together, I've learned not to be a perfectionist and to build, measure, learn and repeat. I now believe that I'm expert enough, I'm organized financially, and I've identified my niche. I chose to work with Titilayo because of her proven success in supporting entrepreneurs. She is innovative, supportive, and inspiring. I was the person in her mastermind course who had the pieces of the puzzle, but struggled to put them together because I wanted everything to be perfect. Titilayo showed me how to get out of my own way and walk through a simple process where I quickly gained momentum and so much confidence! Within 8 weeks of working together, I submitted a six-figure multi-year proposal for a major client—AND I landed it! Now after a few months I have several new clients and I am using all of the skills, tools, and templates that Titilayo shared with my mastermind group. Titilayo Tinubu Ali is a business strategist, trainer and founder of Own Your Expertise® where she helps early stage women entrepreneurs package, price and position their expertise into businesses to that support them and create opportunities for others. A corporate and intellectual property attorney and published author with over 15 years of consulting experience and clients spanning the corporate, nonprofit, philanthropic and public policy sectors, Titilayo brings deep knowledge and hard-earned wisdom to her training and coaching methodology. She has personally coached attorneys, doctors, accountants, organizational development experts, curriculum designers and many others from idea to business implementation. She is a published author whose education research has shaped the development of education systems in the United States, Canada and Ireland. As a communications and management consultant, she has created multi-market media campaigns for nonprofits and social causes that have successfully placed news stories on CNN, NBC, ABC, FOX, and NPR. 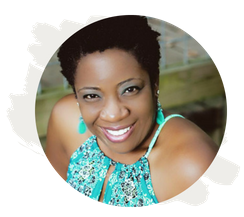 Titilayo earned a bachelor's degree from Spelman College, with honors, a master's degree from Columbia University, a law degree from UC Berkeley School of Law, and she is a certified entrepreneurship trainer.